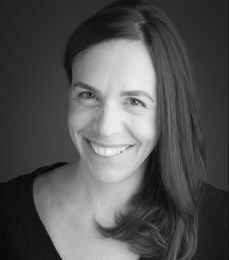 Laure Géniteau joined the firm’s litigation department in 2010. She previously practiced litigation for lawyers acting before the Conseil d’Etat and the Cour de Cassation. Laure focuses on civil and commercial litigation. She assists or represents the firm’s clients before all civil and commercial jurisdictions. Laure has developed a specific expertise in the area of corporate litigation (disputes between minority/majority shareholders, warranty claims and disputes, etc. ), commercial (debt collection, termination of commercial relationships, unfair competition, etc.) and real estate (co-ownership property, commercial lease, liability of contractors and other parties involved in the construction process, etc.) and transport litigation, as well as in matters relating to reorganization and insolvency of distressed companies. In addition, Laure is an adjunct faculty member of the Paris Sciences Po Law School where she teaches commercial contracts.